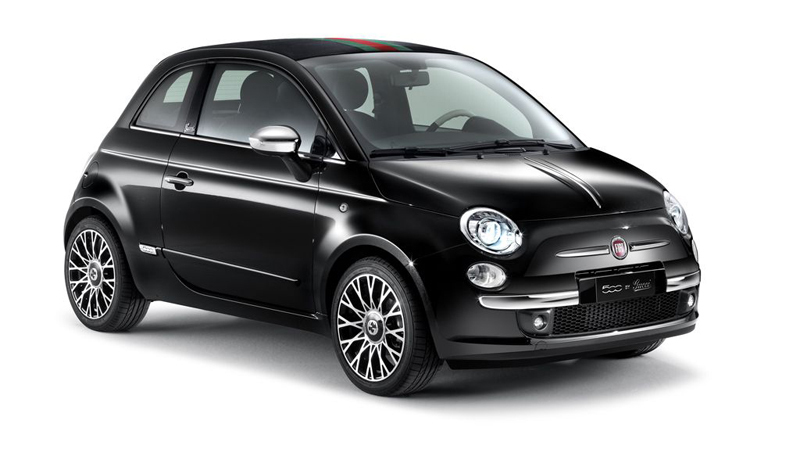 I love classic cars, they somehow send you back to an era when car designers understood what makes a car design stand the test of time. 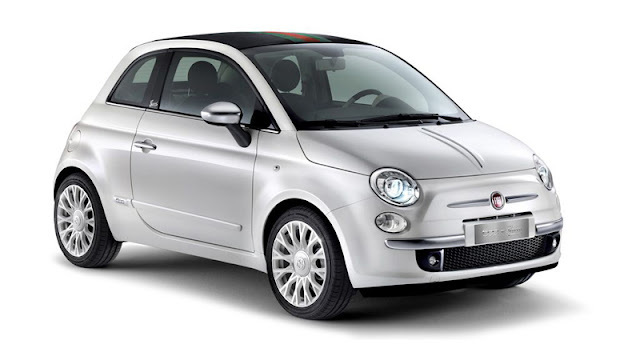 In modern times, consumers are still attracted to classic car designs, such as the retro design of The Fiat 500. 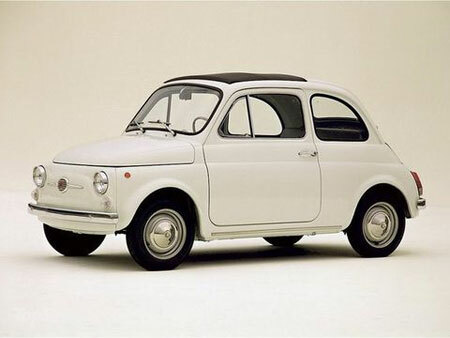 The Fiat 500 or cinquecento in Italian was designed by Dante Giacosa and produced by the Fiat Company of Italy in 1957 and marketed as an inexpensive town car measuring only 3 meters (< 10 feet). 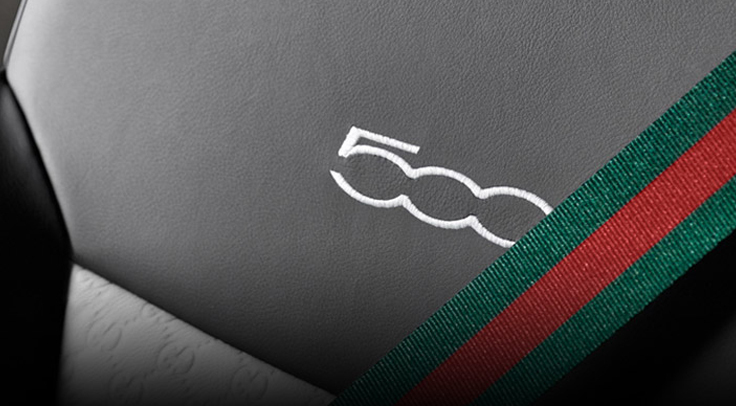 Fifty five years after it was originally launched, a creative collaboration between Stile Fiat and Gucci enhanced the classic qualities of the Fiat 500 and blended both their classic designs to come up with the simple yet refined elegance of the new Fiat 500 by Gucci. 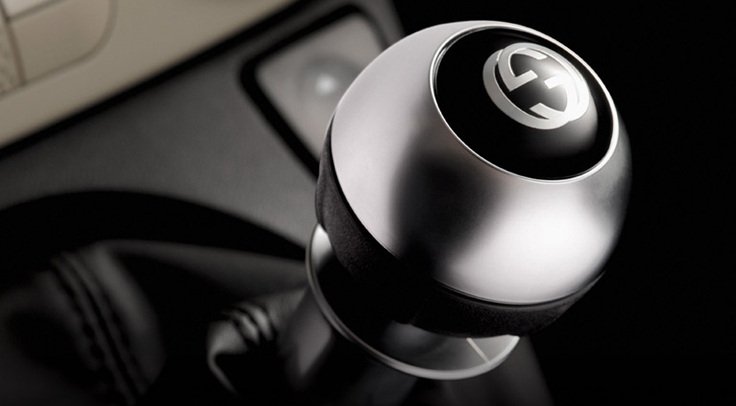 The new Fiat 500 by Gucci features exteriors in two colors – black and white with rims mounted on 195/45 R16 tires. 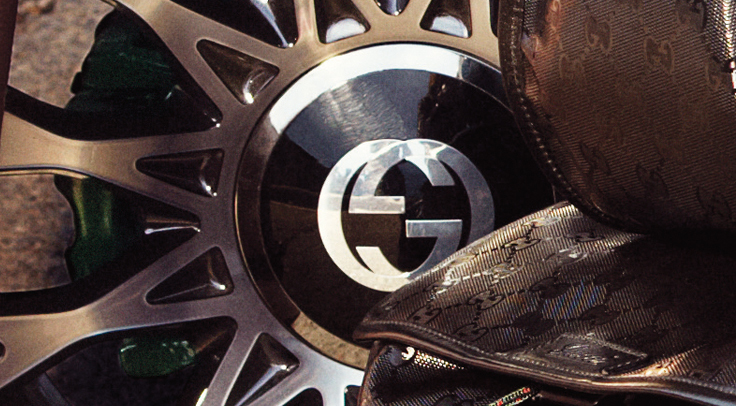 The Gucci mark is evident in the hubcaps marked “GG” in the same color as the body work and also on the head rests. 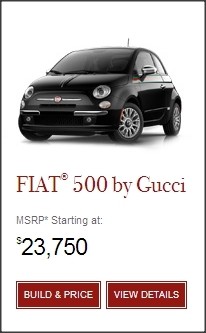 “Gucci” in italics are on the tailgate and the door pillars. 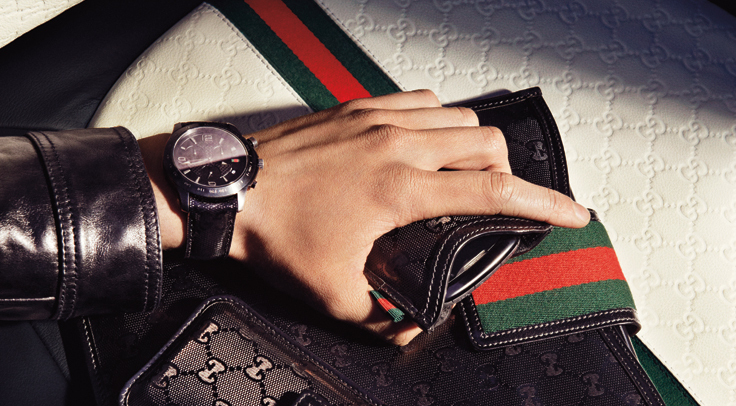 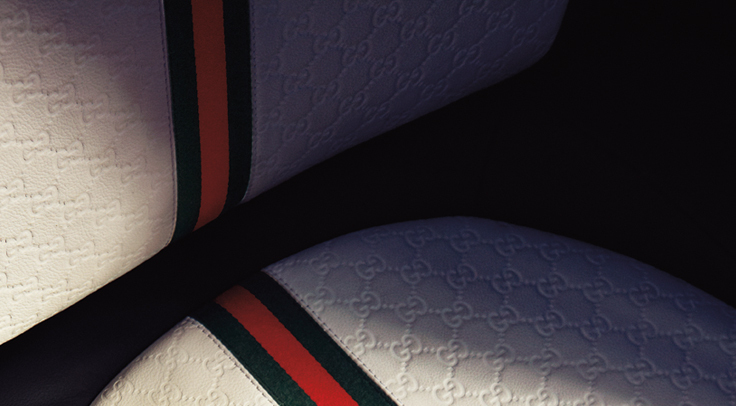 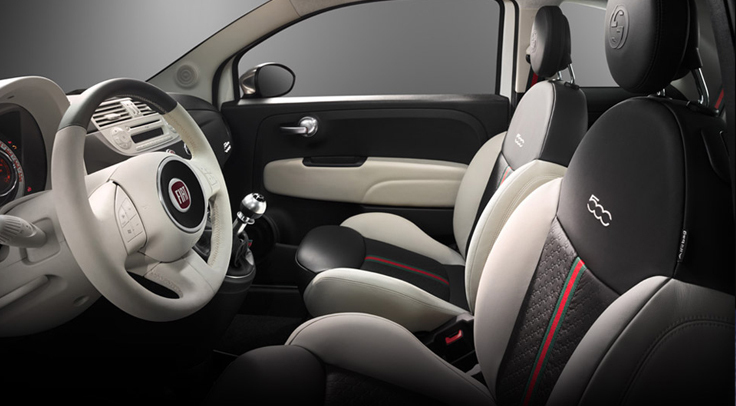 The “Guccissima” graphics are found in the two-tone leather seats. 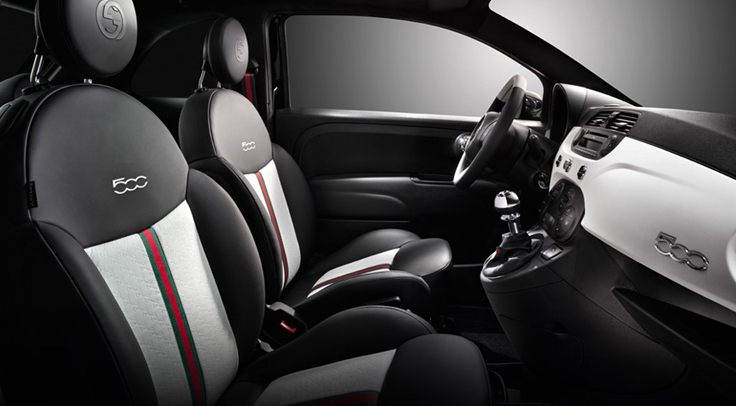 The Gucci red and green stripes can also be found in the car's exterior body and in the interior details such as the seats, gearbox, mats, seatbelts. 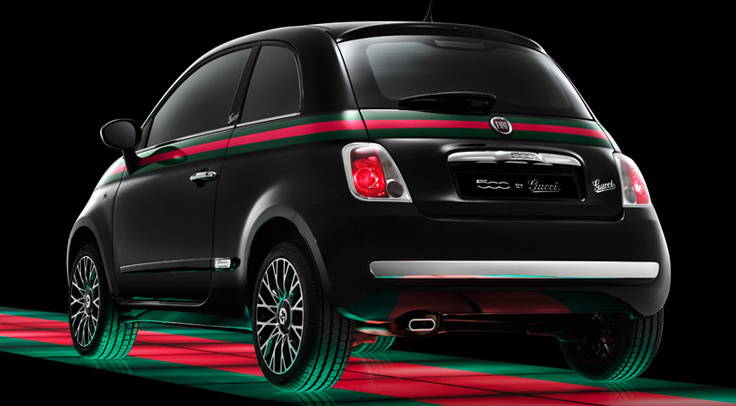 For the the 100 HP 1.4 engine, the brake calipers are painted green. 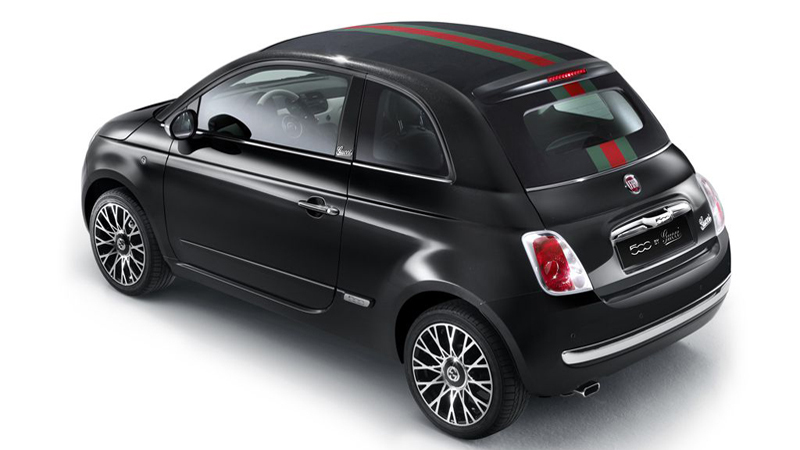 Following the successful launch of the Fiat 500 by Gucci, the next evolution Fiat 500C, or cabriolet, by Gucci was also introduced. 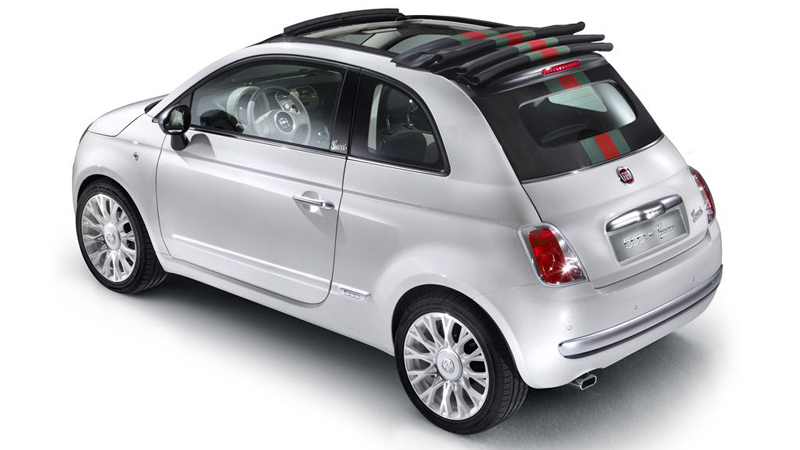 Designed by Gucci's creative director Frida Giannini in collaboration with Fiat's design office, the convertible version of this limited edition car is sleek, sporty and made for summer adventures. The new convertible version is available in two colors: white with matte chrome-plated elements and glossy black with shiny chrome-plated accents. 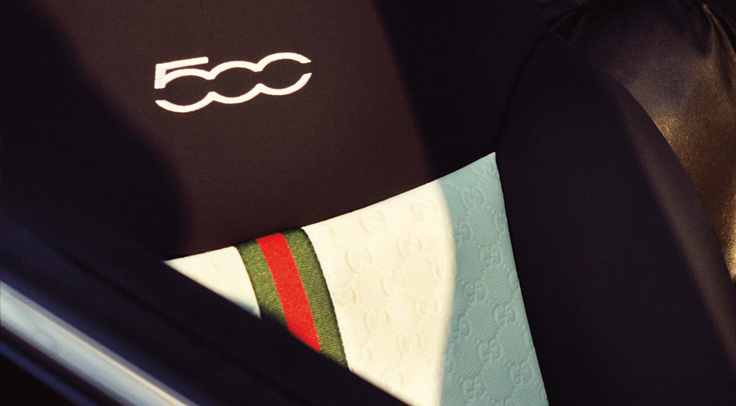 For both, the soft top is black with the characteristic green-red-green Gucci web pattern printed lengthwise (the same graphic pattern is sported on the side of the car). 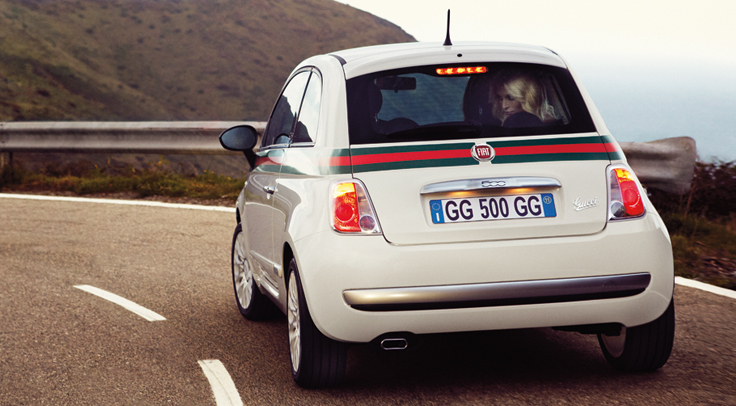 This August, the Fiat 500C by Gucci will hit the road in a multi-city tour of Europe's most charming locations. 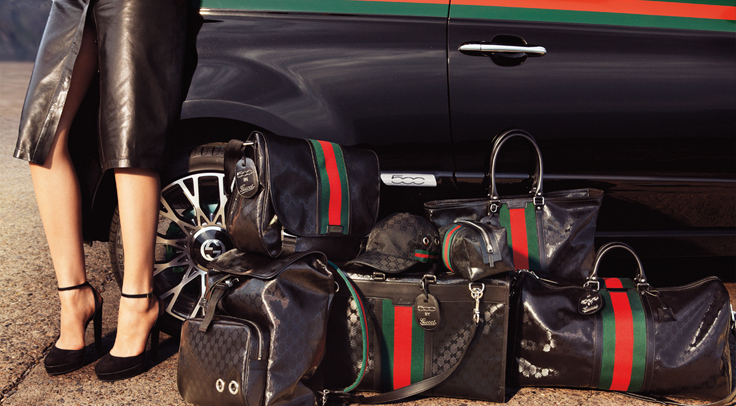 The first stop will be Saint Tropez (August 19 - 27) followed by Berlin (September 8 - 14), Barcelona (September 25 - October 2), London (October 16 - 23) and Geneva (October 23 - 30). 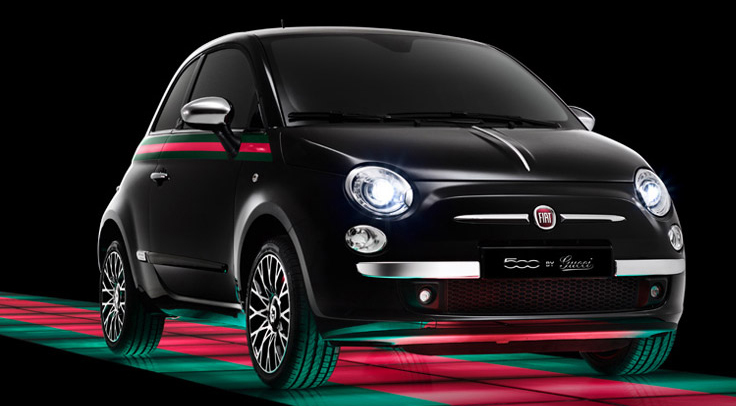 A special Italian road show kicks off in Forte dei Marmi (August 22 - 28). 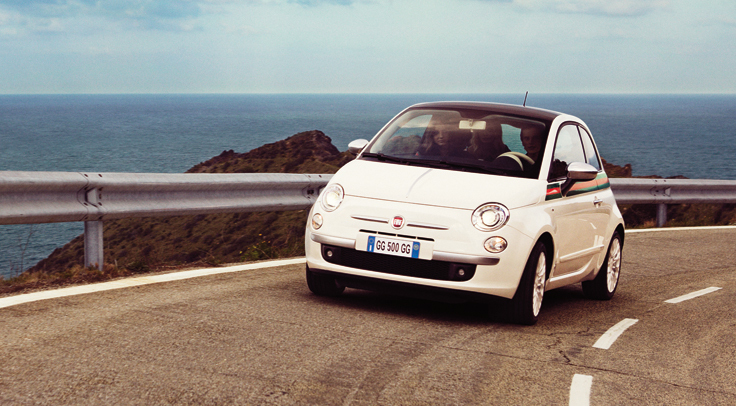 From there it travels to Rome (September 4 - 11), Florence (September 19 - 26) and finally Milan (October 8 - 16).